The Christmas season is to be a magical time, a time of miracles. There are magical elves assembling gifts in a North Pole workshop, an ostracized reindeer with a bright nose guiding Santa’s sleigh on a stormy night, and, in the real world, secret Santa’s providing families in need with something to put under their tree. Perhaps you’ve played the latter. It’s one of the joys of life. This Advent, we’re exploring passages from the Gospel of John that focus on the implications of Jesus’ coming. 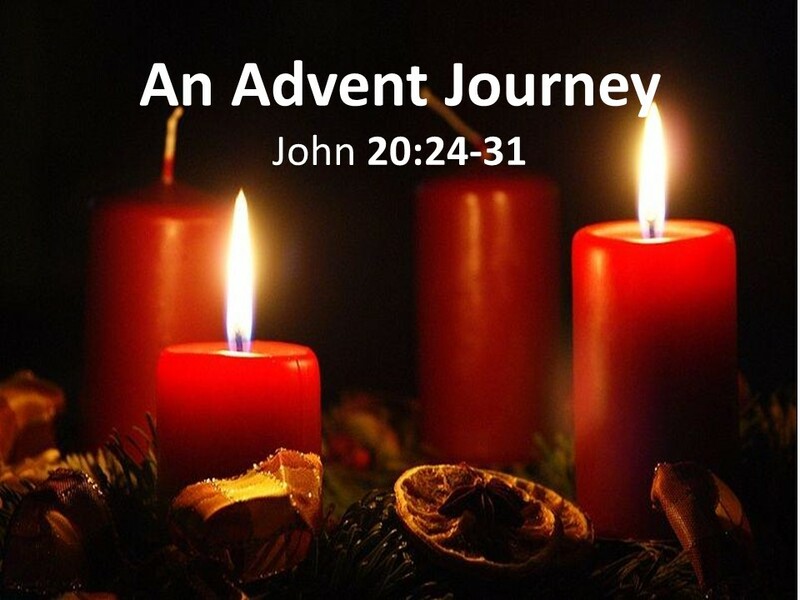 Today, on the Second Sunday of Advent, we’re looking at the doctrine of the incarnation. This is the true miracle of Christmas. God has come to us in the flesh. We’re reading from the 20th Chapter, beginning with verse 24. This is a post-resurrection appearance of Jesus, but it’s only then the disciples fully realize the meaning and implications of Jesus’ coming. Listen! It was a Sunday morning about twenty five years ago. I had some hair then. 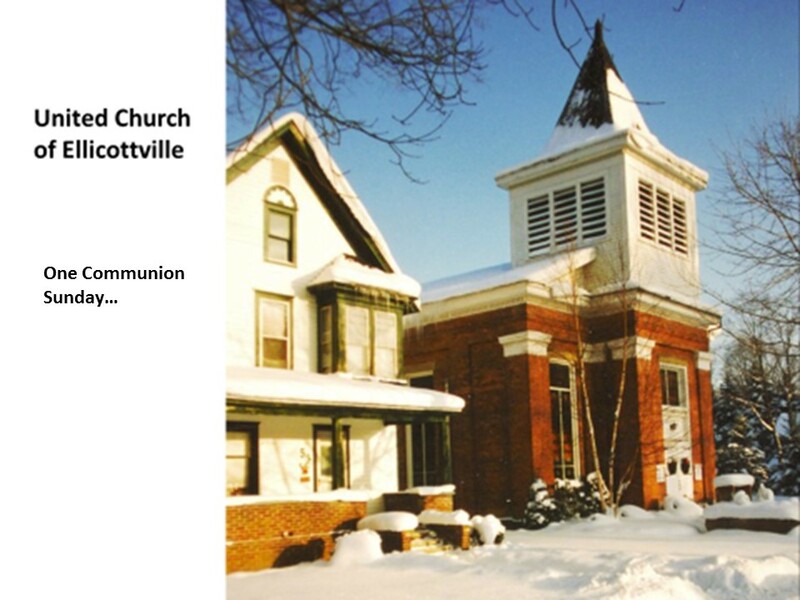 I had been the pastor at the United Church of Ellicottville for about a year, and we’d just finished worship, which included the celebration of the Lord’s Supper. As I was greeting the last of congregation at the door, Cathy came up and grabbed my arm. She was shaking and noticeably troubled. I confess, my first thought wasn’t about a miracle. You see, we’re not made to think about miracles. My first thought was, “Why are they saving the juice from all those cups that had been passed around the church?” It seemed unsanitary. Kind of like saving food that’s been out on day on a buffet. I’d poured that used juice down the drain. It couldn’t (or shouldn’t) have been that much juice to have lost. But then, I wouldn’t have experienced the miracle. I was perplexed. Was this a miracle? Had Jesus really shown up? Had the grape juice turned into good wine as the water had in Cana? I should go have a look, and a sample. In our text today, which takes place between two Sundays, we learn of a true miracle. Thomas wasn’t there when Jesus first met with the disciples on the day of resurrection. (First lesson: you never know what you might miss when you skip church.) But word has gotten back to this disciple, who’s also known as “the Twin.” Now, what kind of nickname is that? Ever known anyone with such a nickname? Did he have a sibling and if so, what was he or she called? Or, was this because he was both, at the same time, a real believer and a doubter (you know, that other name that has been attached to him throughout the years, Doubting Thomas)? If the latter is true, that he was a believer and doubter, then he is not so different that all of us. 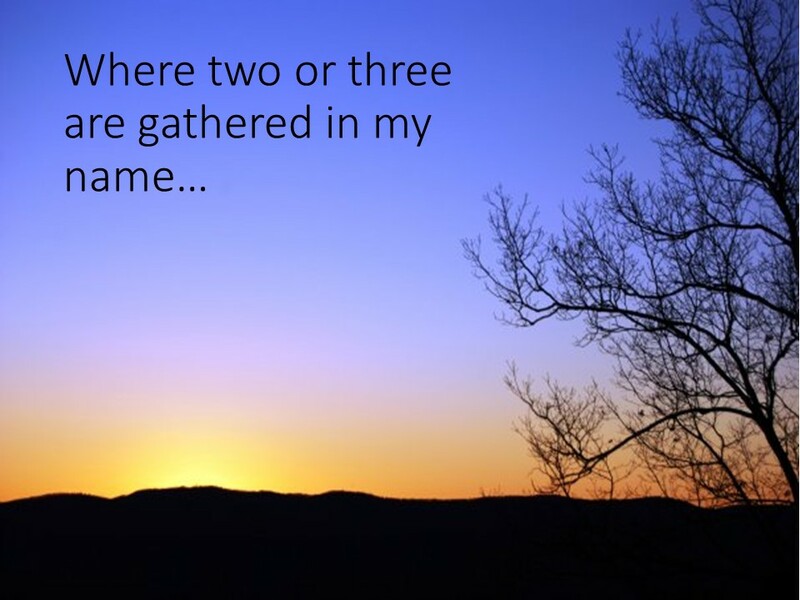 Thomas was one of the Twelve, he had a position of responsibility, but he did not show up at the most important church gathering ever–the one that occurred that first Easter evening. I wonder if he felt he had missed out on something later in life as he reflected back on the events around Jesus’ death and resurrection. When the remaining ten disciples catch up with Thomas, they’re all excited. “We’ve seen the Lord!” They’re jumping and shouting and hugging each other, just as the Cubs were when they won the World Series. But this wasn’t enough for Thomas. I’ll give him another name: “the pragmatic empiricist.” With a bragging swagger, he acknowledges that seeing won’t be enough to convince him, he must experience Jesus’ wounds before he believes. He’ll get his chance. The other gospels hint that the unbelief wasn’t limited to just Thomas. It appears John uses Thomas as an archetype of doubt that the disciples experienced as well as those of us who follow. Having doubt isn’t anything new or unusual. One week later, again on the first day of the week, the disciples gather and Thomas is with them. Jesus again shows up. He stands in the middle of the disciples and pronounces his peace upon them. Then his eyes turn to Thomas. He has to deal with the issue of doubt. He calls Thomas to step up and stick his finger in the wounds of his hand and to put hand into his side. This is enough for Thomas; he immediately cries, “My Lord and My God!” This profession of faith is the climax of John’s gospel. John began his story speaking of the Word becoming Flesh and implying that Jesus was from God, the incarnate one. The true identity of Jesus is now revealed and understood. Jesus is more than just a Messiah. Jesus is more than just a savior. He’s not just a cowboy riding in on a fine horse sporting a white hat, who sets things right again before riding off in the sunset. Jesus is God incarnate! He is to be worshipped and followed, loved and obeyed. The event of Jesus’ coming is the pivotal event in human history for it illustrates how much love God has for the creation. Do we get it? Do we understand that the celebration of Christmas is more than just a chance to exchange gifts while eating well and propping up the economy with our purchases? Do we realize that the real miracle of Christmas has nothing to do with Santa fitting down a chimney or with Kris Kringle on 34th Street? 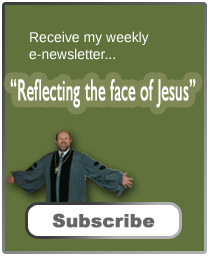 Jesus responds to Thomas’ confession, by addressing generations to follow. “Have you believed because you have seen me? What about those who do not see yet believe? Blessings upon them.” This is Jesus offers his last great beatitude in John’s gospel. And it is a blessing that covers us. Blessing to all of us who, having not had a physical encounter with the Messiah, believe in him. This section ends with a conclusion which suggests that we’re only being told a part of what Jesus did while he was on earth with the disciples. What is written is for those of us who, unlike Thomas and the ten remaining disciples, will not physically encounter Jesus but will come to know him through the testimony of the Apostles and the Holy Spirit. We believe that Jesus is the Messiah, the Son of God, God himself, and that through him we can experience the forgiveness of sin and enjoy eternal life. I know I left you hanging with Cathy and the miracle of the Communion juice. That afternoon, after much pondering, it dawned on me what happened. There was a pitcher that was a part of the communion silverware at the church. During the celebration, I would pour the juice in the pitcher into the chalice as I spoke the words concerning the blood of Christ. Those who prepared communion would always pour just a little bit of juice into the pitcher, so that I would have to practically turn it upside down to have the juice flow. That morning, I was back in the kitchen as they prepared communion. I took the pitcher, filled it about half way with water, then poured enough juice in it to color the water, then I took it out and placed it on the table. No one knew what I had done. I called Cathy that afternoon and asked if she had also poured the juice from the chalice and pitcher back into the jar. Sure enough, she had. Miracle solved, which was kind of sad. Yet, the real miracle isn’t physical. The real miracle is that the same Jesus who was present there that first Sunday after Easter, as the disciples gathered, was present with us that morning in Ellicottville, and is present with us today. Through the Spirit that Jesus promised, as we heard last week, we have God among us, in our midst, in worship and in our lives. We’ve not been abandoned. But that’s not the ending of the miracle. There is one more step to it. The real miracle involves a change in our hearts, which are softened by God’s love and thereby opened to help others experience the real miracle of Christmas. Having been loved by God, having not been abandoned, what will be your response? How will you help spread the real miracle of the season? Amen. Frederick Dale Bruner, The Gospel of John: A Commentary (Grand Rapids, MI: Eerdmans, 2012) 1184. Gerard Sloyan, John: Interpretation, A Biblical Commentary for Teaching and Preaching (Atlanta: John Knox Press, 1988), 225. Good message. I loved the story of the almost miracle in Ellicottville. It gave me a much needed chuckle. It gives me a good feeling to see the good work you are doing at our church for I do love my church. I hear only good things. I’m sorry that I can’t participate more in the activities of the church, but in my old age activities of sorts have become such an effort.